From the beginning Integrated Photonics introduces numerical techniques for studying non-analytic structures. Most chapters have numerical problems designed for solution using a computational program such as Matlab or Mathematica. An entire chapter is devoted to one of the numeric simulation techniques being used in optoelectronic design (the Beam Propagation Method), and provides opportunity for students to explore some novel optical structures without too much effort. Small pieces of code are supplied where appropriate to get the reader started on the numeric work. 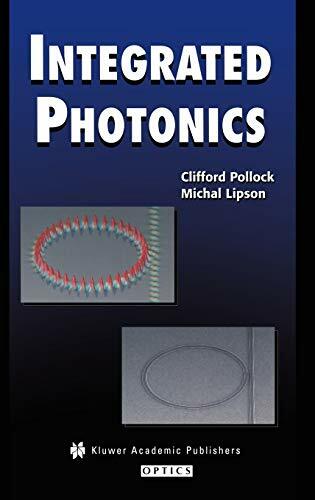 Integrated Photonics is designed for the senior/first year graduate student, and requires a basic familiarity with electromagnetic waves, and the ability to solve differential equations with boundary conditions.